The news just in is that Skype for iPad will be released on Tuesday the 28th June 2011. But the question I have is how come we are all not simply getting a mobile internet connection, and a device that can ACTUALLY do multitasking properly and sticking our fingers up to our mobile/wireless phone networks and all getting accounts with Skype and leaving this application running full time when we want to be contacted or call out? Having been a big lover of Skype of many years I can safely say something has happened in the VOIP arena that has change my relationship over the last 12 months. And as a user of Gmail along with many of my contacts, this has become the de-facto way to communicate ad hoc….why? I am usually available as I like to check mail through the day and it is simply open in a tabbed interface on my browser…. Similar to multitasking, if I hear that familiar call tone I simply flip to my Gmail tab and see who it is. Interestingly both products are totally free for end to end users on the same application and in the case of Google is offered as a loss leader to compliment their other cloud based applications that now come in subscription form. I understand that Gmail has aggressively marketed the talk/chat service more in the US. And also provides a free phone number to users as well as offering free calls to landlines as well as mobiles via its application so long as they are numbers in the US and you are also in the US making the connection. In the case of Skype (newly acquired by Microsoft) revenue is generated by selling ancillary services/products and enhancements such as a Skype to go number or cheap minutes, that can be used to call numbers globally at reduced rates. With 1 Million new users a month reported in 2010 and over 91,000 apps downloads in its first 24 hours on Apples App store; Fring is a great VOIP chat client, giving you the option of bringing in many various chat accounts into one convenient application while your mobile. Fring also allows you to connect using various accounts with the more basic Instant messaging (IM) applications for Windows live, Yahoo messenger, Twitter, AIM and ICQ. Tested on a Samsung S2 over Wi-Fi, using Google chat/talk, was a relatively decent experience. There is a good chance that Fring could be on to something with the way they have brought in a decent client that integrates so many communication options into the mobile arena….watch this space! When trialled, this was not the best experience at all, but worth trying on a Windows machine as I suspect it was a conflict with Apple and the software it provides. iCall for the web lets you make free 3-minute phone calls to anywhere in the US or Canada. 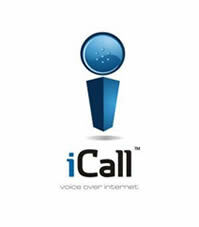 iCall web phone gives you free calls by VoIP and is the most popular free call calling service on the planet. Free phone calls are finally here and brought to you by iCall. So will mobile network providers have to change what they offer as more and more people value Internet data over minutes? While I am sure none of the lesser known VOIP companies is going to be a threat to the likes of Verizon, AT&T, T-Mobile or 02 etc. The problem with most of the current VOIP offerings is they do not work as well as you would like on Smartphones. Using my Samsung S2 I have to go through the Fring client currently in order to bring in my Gmail account as the Gmail talk facility for Android is not yet available on the S2 but on devices that support Google talk the application is seemingly superior to Apples “facetime” due to the ability to run on 3G, 4G and wi-fi. This looks like it will change soon though. Not bad, but far from good, though the Skype version did work quite well while out and about. If you can create a business model that works so the consumer has to pay nothing but their connection fee to a wireless network how do you justify the hefty prices that many networks charge for a mediocre connection and a handset. Surely the handset is the only real value in the deal…..and the problem that huge networks may face is that Smart Phones will become common place in a couple of years! What are your experiences of using VOIP technology, have you seen a shift to this type of communication over mobile phones in the last few year as much as I have?